CNC programming example for CNC machinists who work on CNC Turning/Lathe machines with Siemens Sinumerik 840D/808D CNC controls. Easy to learn and understand cnc program. 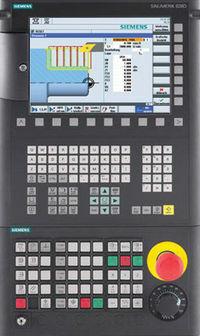 Siemens Sinumerik CYCLE81 is Drilling cycle which is very briefly described in following articles. 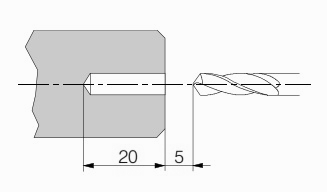 This cnc program example shows the use of Sinumerik CYCLE81 Drilling Centering Cycle on a CNC Turning/Lathe machine.